Since the time Carlton Hardwood Flooring was founded in 1998, our goal has always been to have the most current styles of hardwood flooring at the most affordable prices available. Keeping a balanced focus on contemporary design trends and traditional interior colors and textures, the creative and innovative processes are at the core of our business. 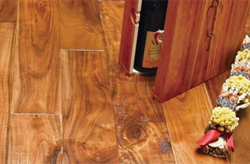 Working with the most innovative production facilities globally, we have the unique ability to not only bring you the latest styles of hardwood flooring, but to offer them with the highest quality standards. In line with our commitment to sustaining forests and our environment, all Carlton product lines are compliant with CARB 2 and the Lacey Act legislation. We are strategically located in Los Angeles, CA, which allows us to streamline delivery to any location in the US or Canada.